The first month of the Brave Love Book Club has (nearly) come to a close! 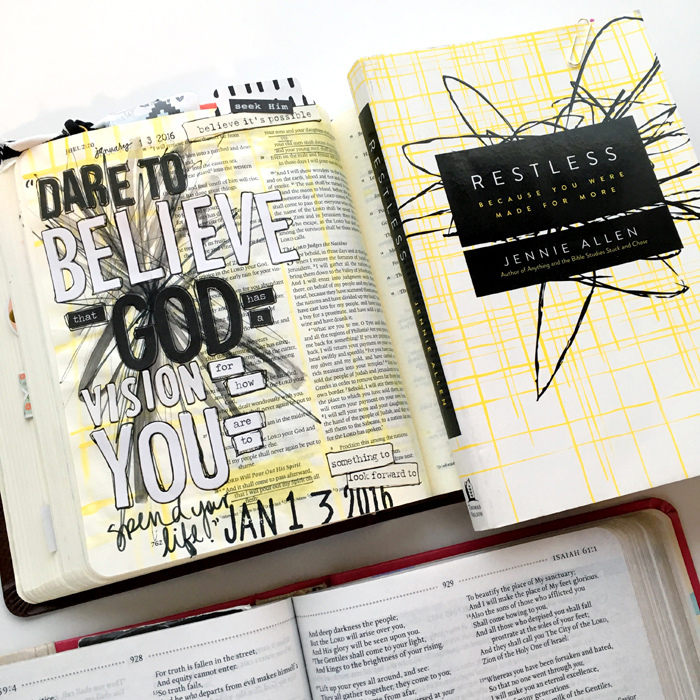 January still has a few days left in it, and I have to admit I still have a few pages left in the book this month but it has been SO WORTH taking my time to walk through Restless by Jennie Allen! Part of what I love about this book is how raw and real it asks you to get, providing in depth journaling prompts along the way, plenty of graphics, and stories to connect with throughout. Today, in review, I wanted to share some of my favorite quotes from the book, scripture references, and even answer a question or two from the book. On my Restless scope, I shared that 1 Corinthians 2:9 stood out to me right off the bat, and it has lingered in my mind. It can be easy to get overwhelmed by the questions that life can pose, by the unknowns looming ahead, and by the need to control. But how incredible is it that the Lord is all-knowing and has prepared a path for each of us?! God has prepared for those who love him." Later in the book, Jennie shares the breakdown or the equation of how to find our purpose. "The story of God through scripture + an understanding of myself and my resources + taking inventory of the need around me + the mystery of following the Holy Spirit's leading = obediently living our purposes. (Perhaps-- no promises.)" I don't know about you, but some of those words gave me reason to pause. "The story of God through scripture," now that I am familiar with and it comes pretty naturally. "An understanding of myself and my resources" or what Jennie calls my "threads," yeah, okay, I think I know what those are. Maybe. Most of them. "Taking an inventory of the need around me".... uh, does theatre really fill a need? Am I really helping people? Insert twelve more questions here. "The mystery of following the Holy Spirit's leading" really feels like a mystery some days and not the neon sign with flashing arrows I hope for. But y'all. The journey to these things is so worth it! 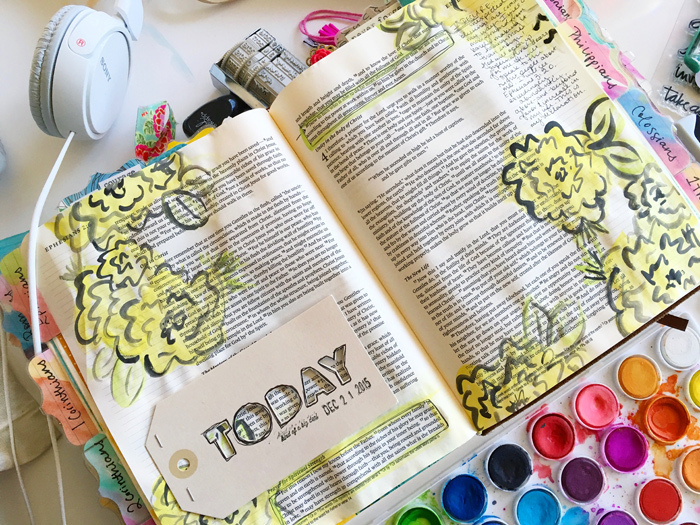 So sometimes I spend more time picking paint colors to illustrate my faith than listening to what the prophets are saying, but then sometimes I can't fathom painting a thing on a page that means so much to me. Sometimes I feel fully confident in who I am and what I have to offer, and other times I doubt I have anything to give. That's when tuning into the Holy Spirit is SO important! His prompting can reveal those things and will help carry you forward into finding out what you were made to do, filling a need and serving His kingdom, and it CAN be done while doing the things that bring you great joy! When it came to talking about passions, I was thrilled that this lined up with something I am studying in my Arts & Entrepreneurship class. We were asked to daydream and dream BIG about what we would want our futures to look like, holding nothing back, then look for reoccurring themes to find what our core values were. My core values are what I am passionate about. Faith. Family. Creativity. Community. Service/Ministry. What was surprising to me was that theatre wasn't listed. Instead it was CREATIVITY. And I have the freedom to pursue creativity in different areas of my life, knowing that it may look different in various seasons of my life. Yes, I love doing theatre, and I'm SO confident that I am called to do it right now, but I am not boxing myself into that. I believe the Lord works in creative ways, and I want to LIVE, DREAM, and CREATE with courage, no matter how that may change over the years. Gosh, Restless was just so good. I'm smitten and envisioned! Thanks for the grace as we've gotten this ball rolling. After reassessing the breakdown of the Book Club events, I have decided to limit it to one book club Periscope per month, midway through the month, and that date will be announced on the first BLBC post of the month with details about the new book. I cannot set a firm time for the Periscope with my constantly shifting school schedule, but I will post about it on both Instagram and Twitter once it is live. If you miss the 24 hour window, you can catch any and all of my scopes at Katch.me/baileyjrobert. Now it's your turn. What did you think of Restless? What were the biggest takeaways? What did you learn? Link your thoughts in the comments below! See you back here with more details about February's selection next week! Happiest of Fridays, my friends! It's my last Friday of freedom before the semester kicks off on Monday, and with it comes all the crazy of prepping to graduate and directing my show. WOO! By the grace of God this semester will be the best one yet and so stretching along the way. 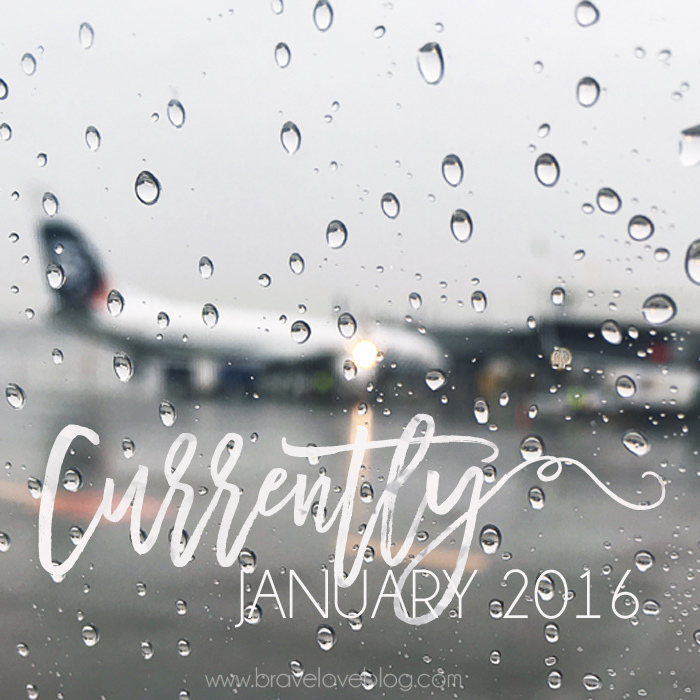 Today I wanted to share about something I am SO SO excited about, and that is getting back into Project Life for 2016! I had big plans for 2015... and those fell to the wayside so fast, it's ridiculous. I've done a little recap album which I will share soon, but today I wanted to return to one of my favorite posts to remind myself that THIS IS DOABLE! 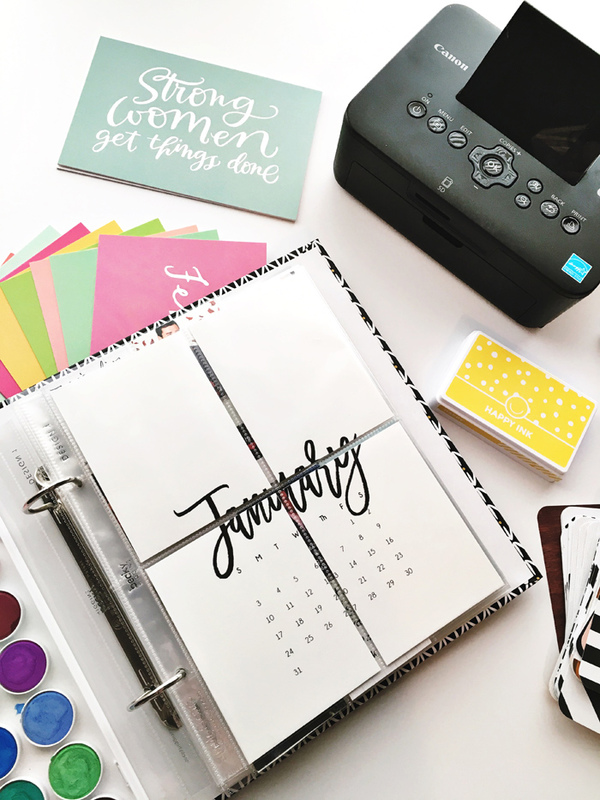 Project Life is scrapbooking made easy, after all. For those of you who are unfamiliar with it, Project Life uses pocket pages with cards of varying sizes that can be inserted on their own or embellished to your heart's desire. I have been using Project Life for over a year now (or planning to and hoarding supplies....) and I don't see quitting any time soon! As I'm going into this year, I've been looking back over previous posts and below are the tips I shared a while back to motivate both you and I to dive on in. Shall we go for it? I bought one of the original sizes, a 12x12 album, and stocked up on pocket pages, but I did not make a single spread. It was too large, too much to handle, and not practical for my season. Last year they debuted a 9x12 which I tried and again, it was simply too big. This year I am returning to my favorite size, 6x8! Woohoo! I would also recommend considering a monthly subscription. I found that $20 a month for a carefully curated kit from Studio Calico, Ali Edwards, or A Beautiful Mess kept me from wandering the aisles and spending wayyy too much at a craft store when I knew I had goodies coming in the mail. The kits are usually themed, season appropriate, and color coordinate quite nicely. I also use the boxes from previous kits for storage of mementos, pages in progress, and embellishments. 2016 Calendar printable coming to my Etsy shop next week! You can find more of my Project Life updates on Instagram @baileyjrobert. I shared a sneak peek of the insert I made last night recapping my first time watching The Bachelor. (Y'all, those girls be crazy! And Ben is quite adorable... just saying.) Stay tuned for more updates, printable products, and fun collaborations! What about YOU? How do you document your days? It's here! The Brave Love Book Club launches today! I cannot tell you how excited I am to journey with you all through these books in 2016. The first one already has my heart stirring in twelve directions, and I have big expectations for what the rest of the book will bring. and you spent the rest of your life running after his purposes for you?" *These times may change once I get my school schedule, just FYI. I am only a chapter or so into the book thus far, but I am loving it! Speaking right to my soul! I picked up the Restless Study Guide at Barnes & Noble (around $10) before the New Year, and while it is technically supposed to go with the video series, it does offer some interesting questions and further study. This is NOT required for the Brave Love Book Club, but if you are looking for a way to dig deeper, it is certainly an option! Before you go any further, take a good look at where you are. I'd encourage you to take a scratch sheet of paper or a page in your journal and write out anything and everything you can think of about your current season, about who you are and what you do, and any of those BIG DREAMS that have been tumbling around in the back of your mind. Put it on paper and hold it in your hands. Talk about a strong starting point, both clearing our heads and starting to put words to the restlessness in our hearts. Where in your life do you feel restless? Is there a particular time of the year that makes you crave something more? What do you think the Lord could be saying as we start our journey through Restless? Look at the what if's in your life. WHAT would life look like IF I believed God really wanted to use me and my dreams? WHAT would life look like IF I stepped out in faith today? WHAT would I do IF I took one action step toward my dream today? Then ask the Lord, What dreams do YOU have for my life? What dreams do I have that YOU want to see happen? What do YOU want me to pursue and prioritize in this season? What do YOU want me to let go of to further chase YOUR dreams? Like I said, these are starting points to get us going, and I am sure we will come up with more as we read through the book! I am truly so excited to journey with you all through Restless this January. I cannot wait to see what the Lord does in our hearts and lives through it! Now let's get to reading, writing, and digging into Restless with Jesus! Hello and happy Monday, y'all! I hope everyone had a fantastic weekend and is off to a happy new year ;) My first few days of 2016 were spent out of town with great friends, and thankfully they also included some downtime to journal and process about this upcoming season. 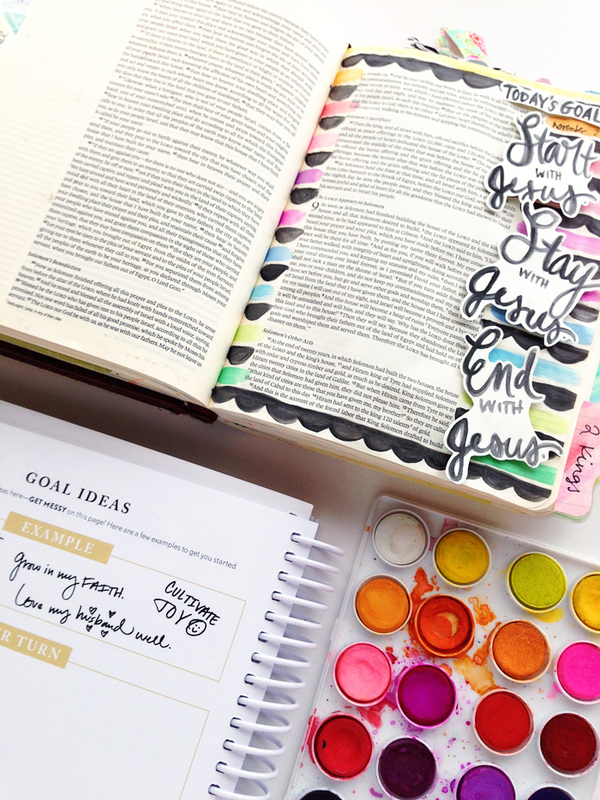 Last Friday I shared my first set of goals for 2016, and today I'm coming back at ya with goals my January goals. 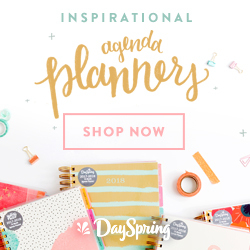 Monthly goals: These can include a wide variety of things, ranging from the BIG monthly to-do's to events on the calendar that I am looking forward to. The fun things are just as important as the practical things, and listing them up top prioritizes them and provides balance. These will get more of an explanation while the others will only be listed. Weekly goals: These are items that can contribute to monthly goals and yearly goals (quarterly really with the new breakdown) and provide further accountability for my daily goals. Daily goals: Most of these are habits that I either want to continue or plant in this season, from prayer to power walking around campus, smaller more attainable goals. I have NEVER fully checked off my daily goals, so it is more about seeing the progress not perfection. 1. Spend a week prepping for the semester. That's this week! I'm excited for some alone time and a few days to be productive before the school year kicks off again. 2. Visit Seattle for Erin & Ben's wedding. Ahhh! I cannot wait to go back and see the beautiful city and party it up at the wedding with all of my friends! It's only a few short weeks away. Eep! 3. Finish my thesis/creative component writing. I want to knock out the biggest chunk of it this week and hope to have the rewrites finished and defended before the month is over. 4. Direct Almost, Maine well. My show gets a second round on the main stage in February, so this month is all about getting the gang back together and re-blocking for the new set/space. I can't wait for y'all to see the pictures! 5. Make progress on my teaching certificate. My hope is to teach in the fall, and I've signed up for a program to get my teaching certificate this semester. I need to fix a time to work on it into my schedule. 6. Actually attend/watch the Influence Network class I signed up for. I am the WORST about this. There are so many classes I pay for with my membership and never actually watch. This month I plan to catch Jess's class on my day off from class. Maybe even live, who knows?! 7. Host the Brave Love Book Club. 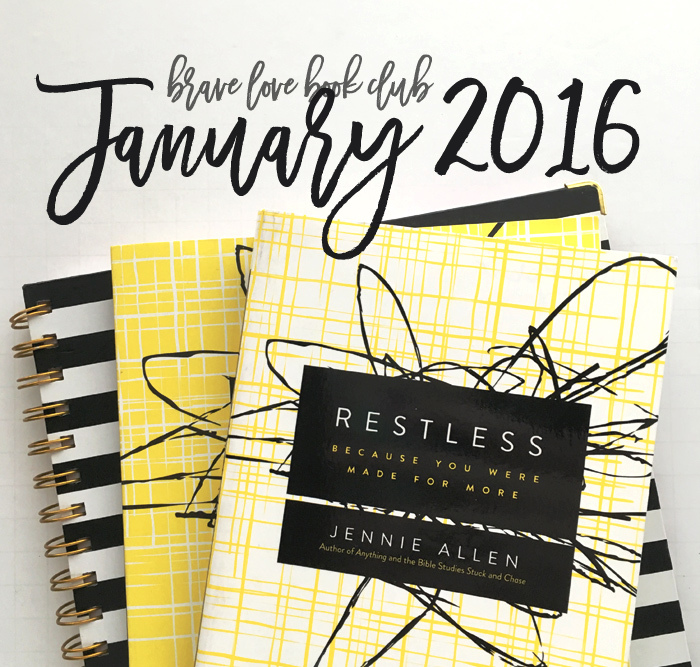 I am so excited to read Restless by Jennie Allen with you all! I started into it a few days early and it is oh so good. More details on this month's read coming on Wednesday. 8. Read 5+ books. One of my yearly goals is 52 books in 52 weeks, and I'm secretly hoping to surpass that! So far my reading list for January includes Restless, Living Well Spending Less, Ordering Your Private World, Fangirl, and The Circle Maker. I want to work more fiction in there, but we'll see. 9. Contribute to the Illustrated Faith team. I have a few blog posts coming up here on the blog AND on the Illustrated Faith site this month. You don't want to miss all the fun reveals about new products and some exciting things on the horizon! 3. Go to the gym or do a video work out at home 3x's. 4. Make progress on Almost, Maine writing. 5. Take care of Illustrated Faith responsibilities. 6. Meet with the girls for discipleship. 7. Take a social media free day. *More on these to come in future blog posts. 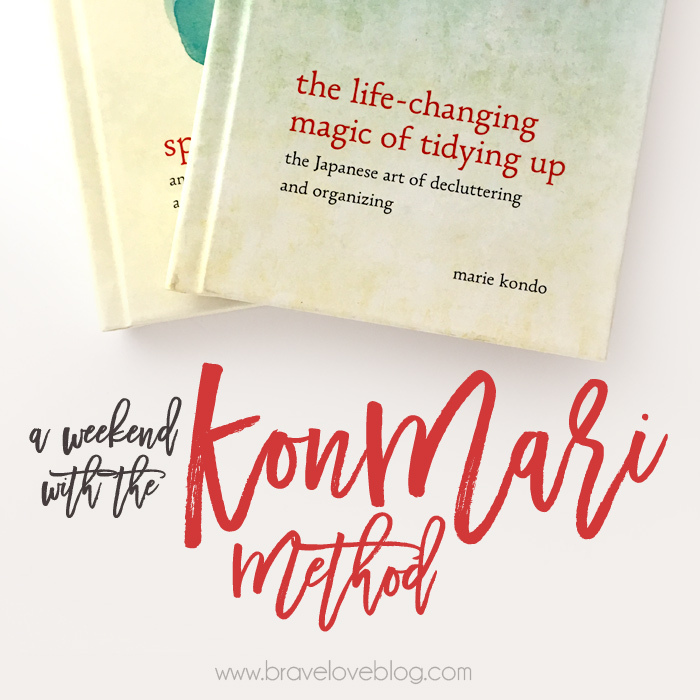 At first these lists made me feel overwhelmed at all of the to-do's, but when broken down into smaller daily items as well as grouping weekly and monthly tasks, I am excited to see what progress this breakdown really brings. Many of them overlap which helps. 4. Make meals at home. 7. Read 20 minutes before bed (instead of scrolling social media). There you have it! January is a big transition back to school and brings with it a new routine which I cannot wait to begin. There's something about this first month of the year that feels so hopeful and open to the possibility of... well... ANYTHING! For more inspiration, check out Lara Casey's Goal Setting series! What do you want to make happen this January? Ahhhhhhhhh. Smell that?! That is the glorious aroma of a brand new year! Or maybe just my favorite Volcano candle, but who can tell? ;) Both bring me so much joy and fill me with expectancy that has me bouncing on the tips of my toes! This year holds a lot of unknowns with a dash (or twelve) of major life changes, but I have this feeling deep in my soul that something BIG is going to happen. I have to be honest that this was the toughest time I have EVER had setting goals for the new year. Usually I can pin them down and post them with ease, sitting back at my desk with a sigh of content, but this year was wild in its own way. A few weeks ago, Rachel and I got together at a coffee shop in Kansas and started our PowerSheets, wanting to prep for the year well in advance. It was then that I came face to face with just how overwhelmed I was feeling with all of the hanging, unanswered questions that would come up in 2016. That girl has a way of looking at me and asking "No really, how are you feeling?" that brings both the waterworks and the truth tumbling out! Praise the Lord for Rach! Chatting through our goals out loud and via text has been so helpful, and our biggest reminder has been to focus less on what we cannot control and more on what we can contribute to. I may not be able to control where I am going to move or what my fall looks like just yet, but I can contribute to finishing grad school well and my other goals by making intentional daily choices. We also decided to give ourselves permission (and a whole lot of grace!) to change our thinking about the new year, looking at 2016 in four parts. These parts coordinate with the seasons and with the breakdown in our PowerSheets workbook. At the end of each season we will reassess our goals, change them if need be, and plan for the next allotted amount of time. The first, which I will be addressing today, is January, February, and March. 1. Cultivate heart healthy habits. **** When considering my goals, this one kept taking the top spot. This year I want to make physical health (and mental health about the topic!) a priority. I want to make healthier eating choices into habits, get active daily, and cultivate a sustainable lifestyle that will carry me into the future. Revelation Wellness and Holy Yoga are two ways that I will be doing this. 2. Read the entire Bible. **** I have been wanting to do this for a while, so I'm super exited to work my way through it this year! I received a new journaling Bible for Christmas, which I'll use for daily study, and I will start a study which will take me through the entire Bible at the end of February when my interleaved journaling Bible arrives! 3. The Contentment Challenge. * Yep. It's back. Again. Third fourth fifth time's the charm right? A shopping freeze, making meals at home, and recording all my spending in a journal should help. Hannah Brencher's doing it, too. Care to join us? 4. Read 52 books in 52 weeks. **** If you caught one of my last posts, you saw that I read 27 books and started 19 more. This year I want to knock out 52 books in 52 weeks! Reading list soon to come ;) Follow the adventures with #baileyjeanreads on Instagram and join the Brave Love Book Club with our first read: Restless by Jennie Allen. 5. Finish grad school strong. ** AHHH. This is about as close to thinking about graduation as I can get. And in this quarter finishing strong means completing my thesis writing, re-directing Almost, Maine for the main stage, and doing well in classes. Let's do this! 6. Document the year creatively. 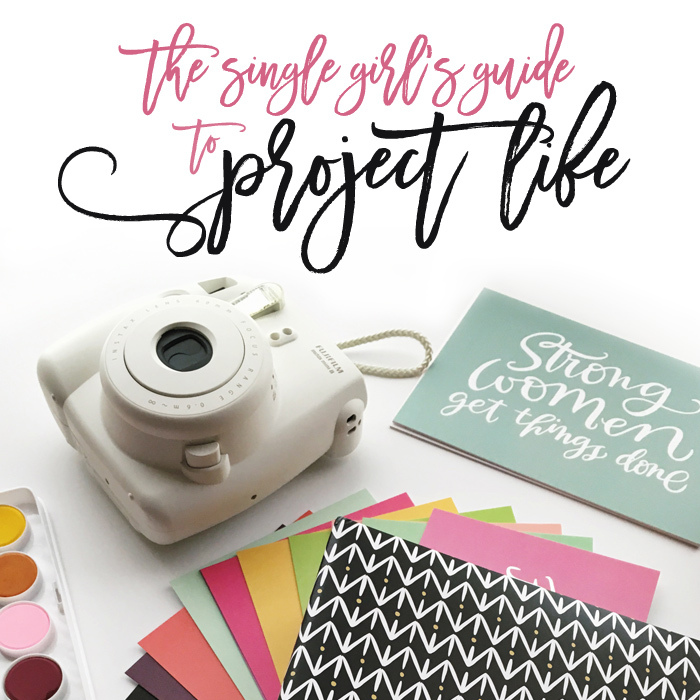 **** I epically failed at Project Life last year (mini recap album to be shared soon!) so the plan is to do better in 2016. I am also joining in Ali Edwards One Little Word again with my word of the year: BELIEVE! 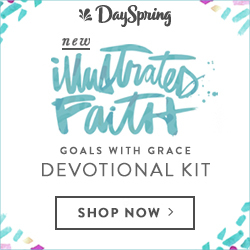 Going along with the contentment challenges, I hope to only use supplies I already have or what comes in my monthly subscription boxes/Illustrated Faith creative team goodies. No more Hobby Lobby spending sprees. 7. Use the internet with intentionality. **** This encompasses blogging and social media. It is a beautiful space for creativity, collaboration, and community, but I need to keep my heart in check when I am falling into the comparison trap or scrolling endlessly before bed. I want to be intentional with what I share, when I'm online, and encouraging others by pointing them to Jesus. I also want to give social media free weekends a chance. We'll see how that goes! 8. Become financially responsible. **** This goes in tandem with several other goals, and the contentment challenge is directly linked. I want to put money in savings before graduation and stop spending excessively, getting ready to be financially independent in coming months. 9. Contribute faithfully to the Illustrated Faith Creative Team. **(**) AH! I just love being on this team so much! This goal is to be a dedicated contributing member, trying new things with my supplies, posting regularly and supporting Illustrated Faith/Shanna however I can. I also hope to do a page a day (or close to it!) in 2016. Woohoo! 10. Disciple my people well. * I have the honor of meeting regularly with a handful of beautiful gals her in Oklahoma and I want to be super intentional with what we are studying, learning, and putting back out into the world. The Lord has us here at this time for a reason and I don't want to miss one bit of it! I also heard a blogger once talk about social media and blogging as discipleship, and I LOVED that perspective! So what if you have 30 or 300 followers? Think about intentionally discipling/mentoring 30 women! What a challenge and charge from the Lord! *The number of asterisks indicates how many seasons/quarters I expect this goal to repeat in! For example, The Contentment Challenge is a three month shopping freeze, so only the first quarter (as of now), and I want to read the entire Bible over the course of the year so that includes all four. I am on the Illustrated Faith Creative Team through May but I hope to apply and remain on it, so that could be all four if I'm selected! There you have it, folks! My focus for the first three months of 2016. Some of these will carry on throughout the year, but it has been so helpful just to look at small pieces going forward. I'll keep you updated with monthly goals as I break each of these down into specifics, and January's will be up on Monday. What are YOU going to make happen in 2016? !